Our Chief Genius worked directly with well over 500 students on their GMAT preparation before starting GMAT Genius, and continues to work with many more students. In doing so, he has repeatedly seen students make certain mistakes in their GMAT preparation efforts. Too many students have come to him for help only after making some of these mistakes on their own, wasting valuable time and money, and receiving a low GMAT score on their first attempt. Learn from the mistakes of others. 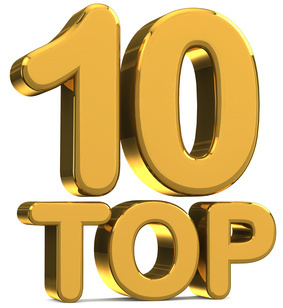 Here is our countdown of the top 10 GMAT preparation mistakes to avoid, along with lessons learned. The GMAT is a difficult test. Although the test is based on high school level math and English, many students have not used some of these concepts in many years. Furthermore, many GMAT questions incorporate these concepts in a subtle manner, essentially testing your critical thinking skills rather than your knowledge of certain formulas. The GMAT can be a challenge for even the most advanced students. The GMAT is not a paper-based test, on which an advanced student can quickly breeze through most of the questions and then spend lots of time on the few harder questions. With the computer-adaptive test format, those performing well will need to consistently solve very difficult questions under the same time limits. Lesson learned: Approach the GMAT as a challenge. Accept that the test is difficult, and don’t get frustrated if you don’t immediately grasp all the concepts. Recognize that, as with any new challenge, mastery takes time and lots of practice. Related to the above mistake, some students think that they can adequately prepare for the GMAT over one or two weeks. Perhaps they just attend a weekend preparation course, or quickly flip through a book or two on their own. Except for the gifted few, such limited preparation is not enough. In fact, even a full-length class or private tutoring is insufficient without extensive self-practice to reinforce concepts. 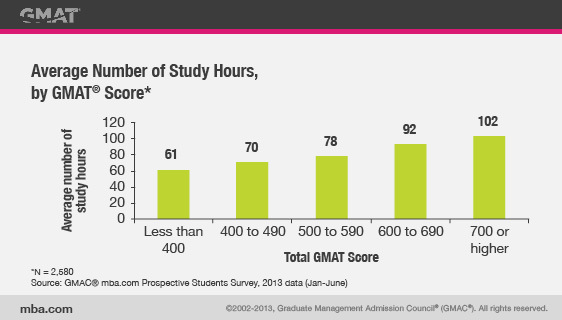 According to GMAC data, students who scored in the 600s and 700s spent an average of 92 and 102 hours, respectively, preparing for the GMAT. Most students will need to spend a minimum of one month, but typically closer to two to three months, in their GMAT preparation efforts. Even if you take time off from work to study, you need to allow sufficient time for the concepts to sink in. Furthermore, you will probably get burned out if you try to pack too much studying into a short period of time. The GMAT is not a test that you can cram for. Lesson learned: Allow plenty of time to prepare for the GMAT. Ideally study for and take the GMAT in advance of working on your business school applications, so that these two time-heavy commitments don’t overlap. Select a two-to-three month period when you have relatively fewer work and other time commitments in order to focus on the GMAT. Since your GMAT score remains valid for five years, there is nothing wrong with taking the GMAT well before you actually apply to business school. Regardless of how much study time you have, you want your GMAT preparation time to be as productive as possible. In order to achieve this, you cannot randomly jump around in your studying or for that matter even proceed sequentially through certain materials. You need a study plan that will keep you on track and that works to your needs and study habits. Since everyone has different needs, we cannot offer a study plan that is suitable for all. As a very first step, however, we suggest that you take a CAT diagnostic to determine your current scoring potential and to better identify your strengths and weaknesses. For this, we recommend the free official GMATPrep software. Once you have a better idea of your current abilities on various parts of the test, you can better develop a study plan that will work for you. A good GMAT tutor, if you decide to engage one, should be able to help you develop a focused study plan based on your unique skill levels and study preferences. Lesson learned: Start your GMAT preparation by taking a diagnostic test to assess your current skill levels. Based on this, develop a focused study plan that incorporates your development needs and study habits. Your weekly study objectives should include new concept review, reinforcement of what you have already learned, and lots of practice. Your study plan should also contain milestones to keep you moving forward and to allow you to ensure that you are on track to meet your GMAT preparation objectives. Not only are you investing your money in your GMAT preparation, but you are also investing your time and most importantly your GMAT score and future career aspirations. You don’t want to waste your valuable time on preparations with inferior materials and classes. Furthermore, if your preparation materials or classes are substandard, your GMAT score will probably suffer. 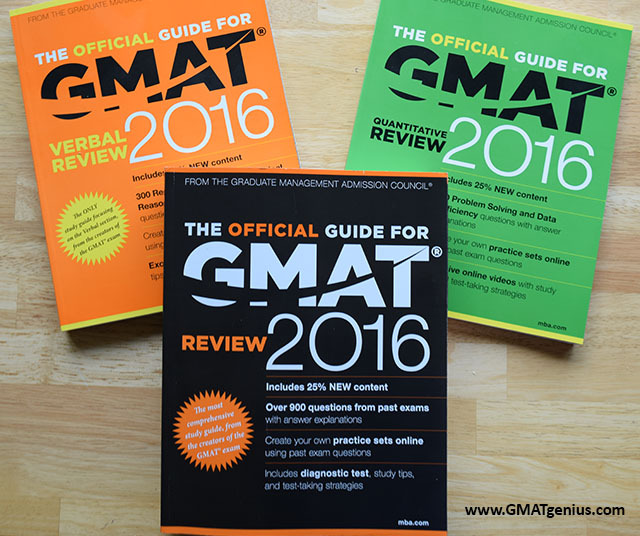 You deserve certain standards to be met within any GMAT preparation books that you purchase. Similarly, if you decide to take GMAT preparation classes, you deserve certain quality standards in those. Since you want your GMAT preparation to be a one-time affair, make sure that you get it right the first time so that you don’t have to start over from scratch. Lesson learned: Ensure that you choose study materials and classes that are of the highest quality and that are well suited to your needs. Don’t hastily pick the company that is the biggest, that you come across first, or that your friend used (unless you receive a strong recommendation). Review our preparation options page for a thorough assessment of the pros and cons of different preparation options, and for some suggestions on how to evaluate specific offerings. Spend some time to carefully investigate the available options, and make the best decision for you. As mentioned above, the GMAT is a difficult test and requires lots of preparation time. Because of the time commitment involved, you want to make the most productive use of your study time. It is not productive to approach problems in a long, roundabout manner when more efficient approaches are available. It is not productive to waste lots of time on a given practice question, especially since you have an average of two minutes per question on the GMAT. It is not productive to make the same mistakes over and over. It is not productive to develop bad study habits. In order to minimize unproductive use of your time, get help as needed. Help can come in many forms. At a minimum, you need top quality study guides to refresh your math and verbal skills, so that you don’t have to recall the concepts on your own as you work through practice problems. Many students find GMAT preparation classes helpful, as classes go through the concepts in a more systematic fashion. Finally, although it can be a more expensive option, a good GMAT tutor can customize a study plan for you, ensure that you are approaching problems efficiently, and keep you on track. Lesson learned: Buy high-quality study guides to learn all the important concepts in an efficient manner. Decide whether a formal GMAT preparation class is right for you. Consider hiring a good GMAT tutor to help you develop a study plan, to assist you on difficult concepts, and to ensure your GMAT skills are progressing appropriately. It is not productive to spend lots of time studying for the GMAT, only to forget what you learned before you are able to apply that knowledge on the actual test. That’s what happens when you take an extended break from your GMAT preparations. Without continuous studying, you tend to forget the concepts and approaches that you previously learned. You need to keep reinforcing the concepts and building on them as your studying progresses, and you need to apply these concepts on practice problems. As part of your studying, review math and verbal concepts every week to get that continual reinforcement, since the skill sets for both sections are very different. Besides forgetting, another problem with an extended break is that, from a self-motivation standpoint, it gets increasingly harder to get back to studying the longer it’s been since you’ve stopped. 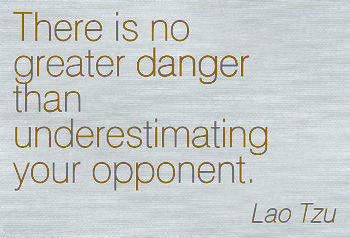 So keep studying no matter what challenges arise. If you fall sick, you might as well study some while you rest at home. If you get busy at work, find at least some time on the weekend to study. If you have a vacation planned, take some study materials for the journey and for down time. Lesson learned: Don’t stop studying until the GMAT is over. There should never be more than a one-week gap in studying, ideally less. As part of this, study both math and verbal every week and keep reinforcing skills that you have already mastered. Keep studying even if you fall sick, get busy at work, or go on vacation. The GMAT is more interested in testing your critical thinking abilities than your knowledge of certain formulas. Although the test is based on high school level math and English, many GMAT questions incorporate these concepts in a subtle manner. Since there is a severe time constraint, you must approach problems as efficiently as possible. Many math questions (particularly on data sufficiency) can be best solved by understanding what’s going on conceptually as opposed to by performing lots of calculations. Many sentence correction problems can be best solved by noticing important differences among the answers as opposed to by analyzing each answer one at a time. Many critical reasoning and reading comprehension questions are best approached by noticing certain characteristics as you read the stimulus as opposed to by memorizing every detail. In order to solve these problems efficiently, keep your focus on the ultimate objective of quickly finding the right answer. Lesson learned: In working through practice GMAT problems, learn to think big picture and avoid getting lost in the details. Think about the underlying concepts before performing lots of calculations or analyzing each answer one at a time. Decide upon the most efficient approach for any given problem. In your GMAT preparations, it is critical to work through many practice problems. But rote practice is not enough. The whole point of practice is to improve your skills. Improvement comes by understanding what you’re doing well and what you’re not doing so well, and then working on your weaknesses. In order to benefit most from your practice, you must learn from your mistakes so that you don’t repeat the same mistakes over-and-over. You should spend at least as much time reviewing your work as you spend on doing the problems themselves. Although this can be very time consuming, your in-depth review will prove invaluable. Your objective is to see continuous improvement in your performance and to ultimately perfect your GMAT skills before taking the actual test. Lesson learned: For every practice problem that you answer incorrectly, thoroughly analyze the approach to the correct answer. Compare this to the approach you took, and understand where you went wrong. Identify mistakes that you made, and write out and study those mistakes. Keep track of similar mistakes that you make repeatedly, as these indicate concepts that you need further review on. Even for practice problems that you answer correctly, make sure that your approach was the most efficient approach. A correct answer is great, but nonetheless presents learning opportunities if you spent too much time or took an inefficient approach in deriving the correct answer. Working through lots of practice questions in your GMAT study guides and the Official Guides is important, but it is not enough to prepare you for the actual test. The GMAT is a computer adaptive test (CAT). The test is administered on a computer, not on paper. Questions must be answered in the order presented, and you cannot see the next question until you answer the current one. Question difficulty varies based on your performance, with those performing well receiving harder questions. Each section has a firm time limit, which poses a challenge for many students. You must use a provided marker and whiteboard packet for your notes, not a pencil and scratch paper. Practicing with problems in a guidebook, even those presented as paper-based practice tests, will not prepare you for these challenges. Working through CAT diagnostics will. On a diagnostic test, you get used to answering (on a computer) questions that you cannot preview and that vary in difficulty based on your performance, within the set time limits. Some companies sell replicates of the whiteboard packet that you must use on the actual test, but purchasing small whiteboards (e.g. 8.5” x 11” or 8.5” x 14”) and a fine-point dry erase marker should be sufficient for your practice. Purchase a few whiteboards so that you can keep your work for the review stage, rather than having to erase your one whiteboard each time it fills up. Lesson learned: We recommend that you take a minimum of five, and potentially up to twelve, GMAT CAT diagnostics before taking the actual exam in the test center. In taking these diagnostic tests, simulate the testing environment as much as you can. For example, you can take some tests at the library using the library’s computer. Even though diagnostics do not grade the essays, always do the essays as part of your diagnostics, both for practice and to build up your endurance. Do not use a pencil and scratch paper for your work when taking diagnostics. Instead use whiteboards and a dry erase marker, if not a replicate of the GMAT whiteboard packet, for your practice. Since some diagnostic tests are a poor representation of the actual GMAT, use high quality diagnostic tests (tutoring students receive our recommendations). Due to copyright and licensing issues, all third party GMAT preparation guides contain simulated practice questions. In order to fully prepare yourself, you must practice with retired real GMAT questions, which are available only in the Official Guides (with over 1,500 questions). Although some companies do a better job than others at simulating the essence of real GMAT questions, no company fully reflects the quintessential nature of the real GMAT questions. Since the Official Guides contain minimal content discussion, most students need supplementary study guides. The key word, however, is supplementary, not replacement. Lesson learned: If you practice using only simulated questions, you may be woefully unprepared for the GMAT. No matter what other materials or classes you use for your GMAT preparations, at minimum buy the GMAT Official Guide . Since there is no overlap in practice questions, we also highly recommend that you purchase the GMAT Quantitative Official Guide and the GMAT Verbal Official Guide . To save money, you can purchase all three books together in the Official Guide Bundle .